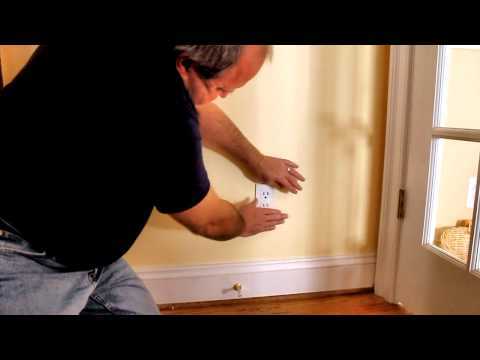 Electrical outlets and light switches, located on the exterior walls of your home, can be sources of heat loss. When installed, the electrical boxes penetrate the dry wall leaving an opening around the edges of the box as well as openings where the electrical wires enter the box. While there is wall insulation it can be limited behind the box if the insulation installers were not careful to be sure that the insulation was pushed behind the box. These openings can allow cool air to flow into your home in the winter. In my first home, which was built by a high volume lower quality builder, I could actually feel cold air flowing from my outlets on a windy day and was how I learned about insulating outlet and switch boxes. I once moved some insulation in the basment of that home and could see sunlight coming in! I had a direct opening to the exterior because a piece of exterior sheeting wasn’t cut correctly. Issues can often be hidden during construction.